We Were Promised Jetpacks has become something of an indie staple. Seems like every year I journeyed to Austin for South By Southwest since 2009 the Scottish 4-piece was playing the festival, drawing large crowds for a sound that takes a guitar-fueled indie dance vibe (see Phoenix, Tokyo Police Club) and injects it with an emo sensibility that Cursive would approve of. The band continues to tour its 2014 release, the exquisite Unraveling (FatCat Records), making one assume that they must be working on new material. Find out if that’s the case when they play The Slowdown Monday, June 6. We asked WWPJ to take our Ten Questions survey. Guitarist Michael Palmer stepped up to the challenge. We Were Promised Jetpacks: Right now, it’s The Wilderness by Explosions In The Sky. We’re just off a support tour with those guys and they’re the nicest people and the best band. Love them. All time favourite (yup, that’s a ‘u’ in there – don’t take it out) is probably Kid A or something. The part when you start writing a new song, and play it together the first few times. Before you have to talk about changing things. That part. Not getting to see certain people for long stretches of time. Glasgow, because afterwards I don’t have to get into a van. It’s not that getting into a van afterwards isn’t sometimes amazing, it’s the not having to that makes it special. Glasgow. Early on. There was a show where there were only like 10 people there and none of them cared at all. So we thought it would be funny to all kick our shoes off at the same time. It was. It was hilarious actually. Never mind. I’d like to point out here that I used “where there were” in a sentence above and it was awesome. We pay our bills the usual way, I guess. One where you get to leave at 5 p.m. and go to your own home EVERY SINGLE DAY! That’s the answer to both halves of the question, by the way. I hear that there’s a $200 million development plan for land off the I-80. But that’s just because I went to omaha.com and read one of the headlines. I love that there’s an omaha.com, great work guys! 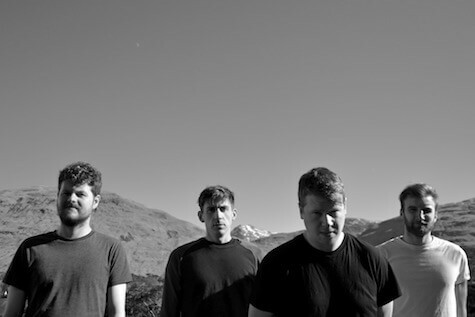 We Were Promised Jetpacks plays with Tokyo Police Club Monday, June 6 at The Slowdown. Tickets are $16 Adv./$18 DOS. Showtime is 8 p.m. For more information, go to onepercentproductions.com.